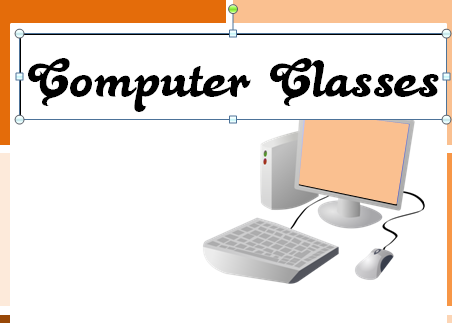 This tutorial gives the illustrated step by step instructions to create a Computer Classes Flyer using the Business Application – Microsoft Word. 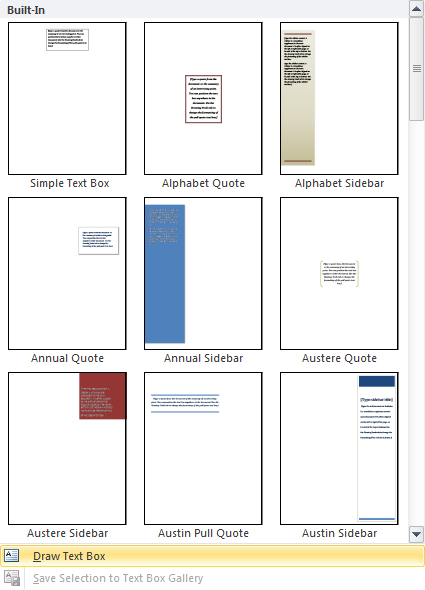 To properly setup your document, go up to the Ribbon and select the Page Layout Tab. Then in the Page Setup Group, select Size > Letter from the drop down menu. 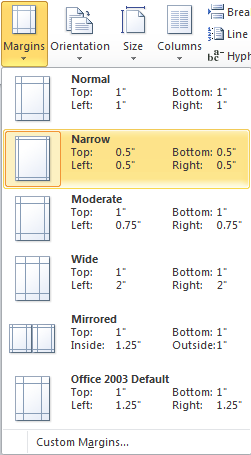 Click on Margins and select Narrow from the drop down menu. This sets the Top, Bottom, Left and Right Margins to 0.5″ each. Next click Orientation and select Portrait from the drop down menu. Now that Document Setup is complete you can start working on the flyer background. 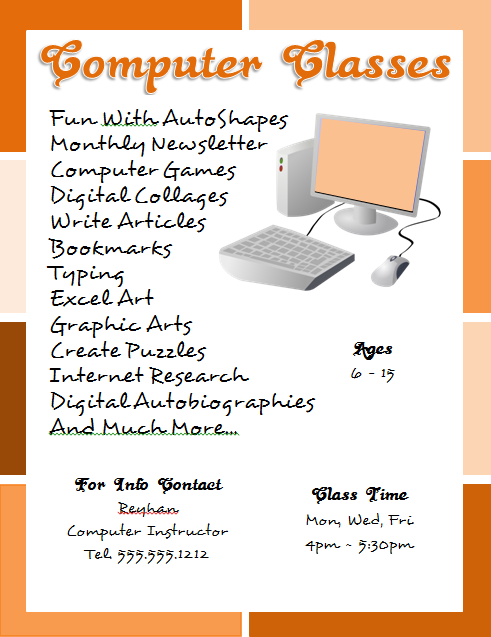 The Computer Classes Flyer is a very simple flyer that looks like you took some time to create it. The first thing that you will add to the Flyer is a Rectangle. On the Ribbon, select the Insert Tab. In the Illustrations Group select Shapes > Rectangle (the 4th shape in Recently Used Shapes or the 1st shape in Rectangles). 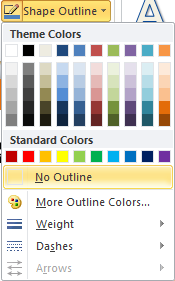 You will notice that the Ribbon has changed to the Format Tab which showcases the Drawing Tools. 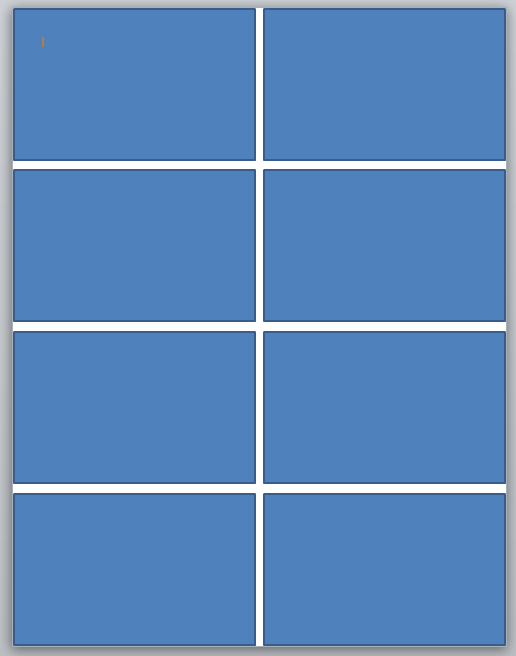 8 Blue Resizing Handles appear around the Rectangle. On the far right of the Format Tab is the Size Group. Set Height to 2.6″ and Width to 4.15″. Select the Rectangle and move it to the top left corner of the page. Select the Home Tab and go to the Clipboard Group. Then select Paste 7 times so that you will get 7 more Rectangles. Line them up on the page so that they are equally spaced. Select the 1st Rectangle. 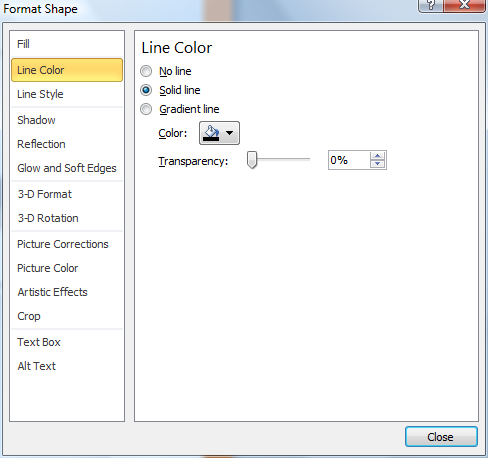 Click on the Format Tab and in the Shape Styles Group select Shape Fill which opens a drop down Color Menu. 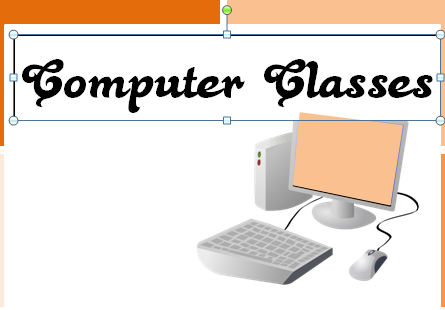 Instead of using the Blue Colors that I used for the Computer Classes Flyer in Inkscape, let’s try variations of Orange. 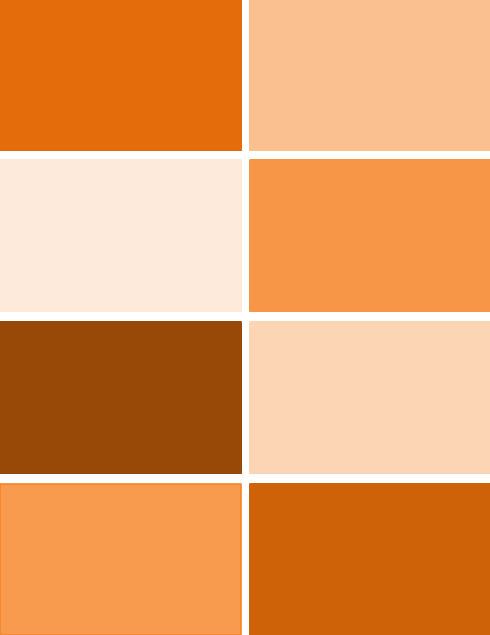 In the Theme Colors Section select Orange, Accent 6, Darker 25%, which is the second to last Orange Color. 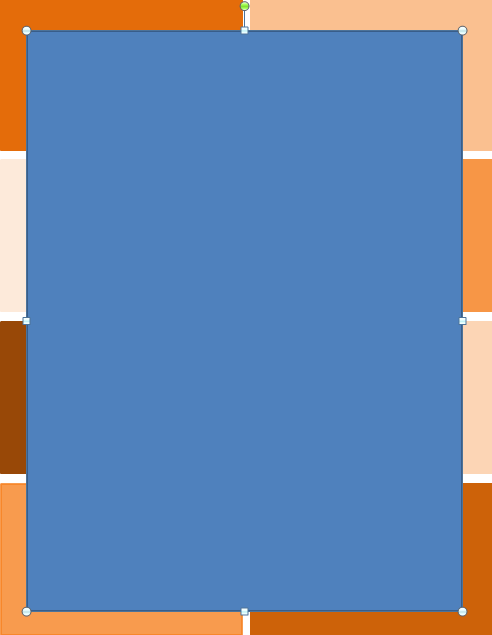 The Rectangle now has an Orange Fill but still has its Blue Outline. 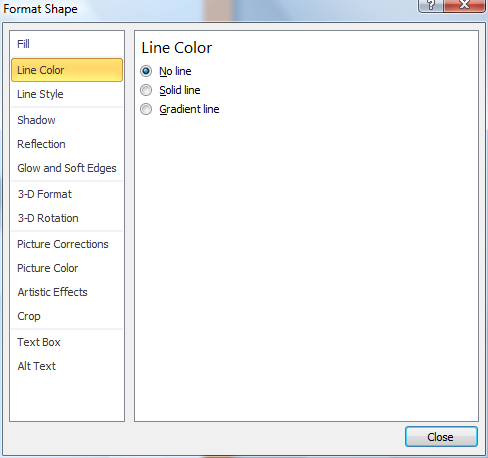 To change the Outline Color, select Shape Outline in the Shape Styles Group. Then select the Accent 6 Orange, 25%. You will now have a Uniform Fill and Outline. Now repeat for the other Rectangles. For the Last 2 Rectangles, we’ll try a different approach. 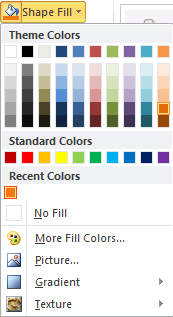 In the Color Menu, instead of choosing a color from the Theme Colors, select More Fill Colors. 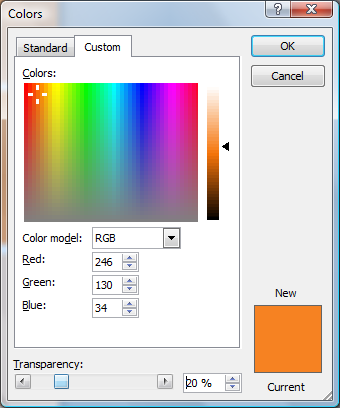 This opens the Colors Window. Set Red to 246, Green to 130 and Blue to 34, then set Transparency to 20% by moving the slider or typing it in. Then for the Outline Color, re-enter the RGB Values and Transparency. For Rectangle 8, under More Fill Colors, set Red to 205, Green to 98 and Blueto 9. Click OK. Repeat for the Outline. Draw another Rectangle on the Page. This time set its Height to 10″ and Width to 7.5″. 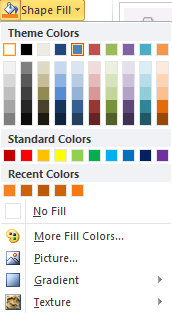 The Default Fill Color will be Blue. 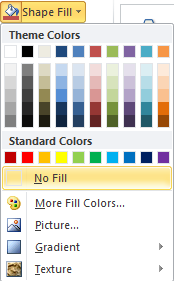 Set both the Fill and Outline to White by choosing this Color from the Theme Colors section. Now the flyer background is complete, we can move onto inserting the Image. 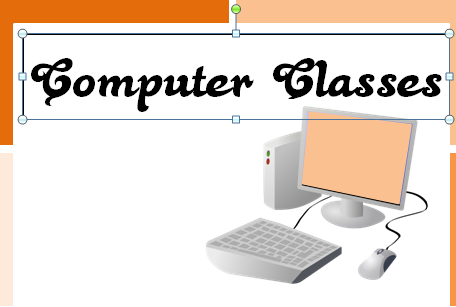 The Public Domain Vector Clip Art for this Computer Classes Flyer was downloaded from the Open Clip Art Library. 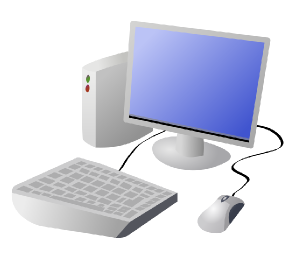 The Clip Art is called Cartoon Computer and Desktop by DTRave. Once the image has been downloaded, you will need to place it into the flyer. 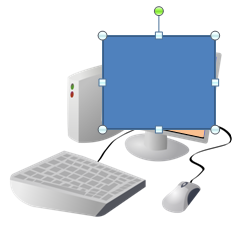 In Adobe Illustrator, OpenOffice Draw, Inkscape, Corel Draw and Microsoft Publisher, you are able to freely move an Image anywhere on the canvas. This is also possible in Microsoft Word as long as you first place the Image within a Text Box. To Insert a Text Box, go back to the Ribbon and select the Insert Tab. Then go to the Text Group and select Text Box. 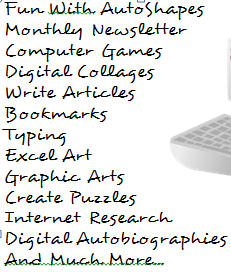 At the bottom of the Built-In Window, select Draw Text Box. Your cursor will change to an X. 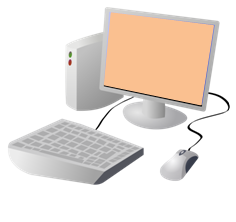 While holding down your mouse button, drag and draw a Text Box on the Flyer. The Text Box will have 8 Handles around it for resizing. Click anywhere inside of the Text Box so that you have a flashing cursor. Since drawing the Text Box, notice that the Ribbon has changed to the Format Tab. Go back to the Insert Tab and click on the Picture Icon in the Illustrations Group. This allows you to Insert a Picture from File. 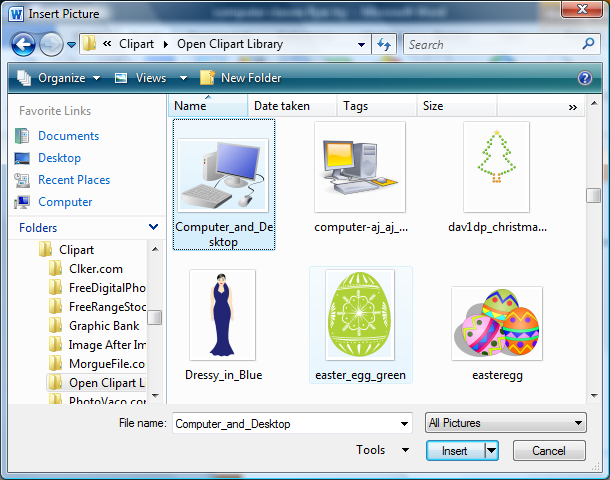 It opens up the Insert Picture Window, where you can select your file and then click Insert. Be certain that your images are in a format that will be recognized by Microsoft Word. These images are saved in PNG (Portable Network Graphics) Format. Once the Image has been inserted, Resize it by selecting one of the Circlesand holding down the Ctrl and Shift Keys together, so that you don’t get a disproportionate Image. The Image will then be placed inside of the Text Box. Select the Text Box, then right click over it to reveal another menu. This opens the Format Shape Window. 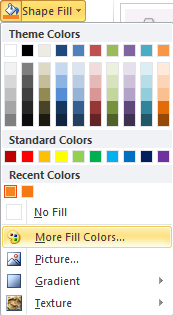 Right below the Fill Tab is Line Color. Select this to make changes to the Outline/Stroke of the Text Box. Notice that the Window has also changed. Select No Line, changing the window yet again. The Image now appears with no visible border around it, however, you know that it is still there. Remember to move this Image, you will have to select its invisible border and not the Image itself. You can tell if you have the right box selected by its border. The Text Box Border has Dashes while the Image Border is a Solid Line. 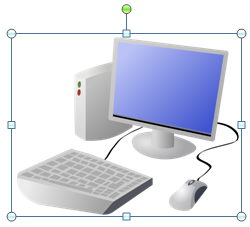 Draw another small Rectangle and place it over the monitor. We are going to change the color of the screen from Blue to Orange. 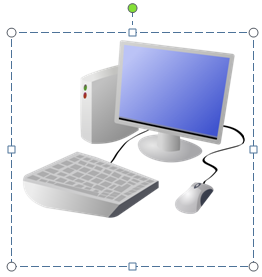 Rotate this Rectangle by moving the cursor over the Green Rotation Circlelocated above the Rectangle. When the cursor changes to a Rotation Arrow, hold down your mouse button and move ever so slightly to the right. 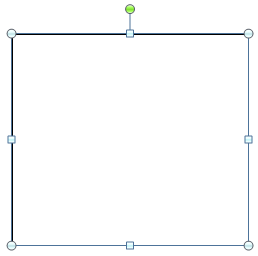 Then click on the Square Resizing Handles to adjust the size of the Rectangle. With the Rectangle selected, the Format Tab of the Ribbon will be visible. 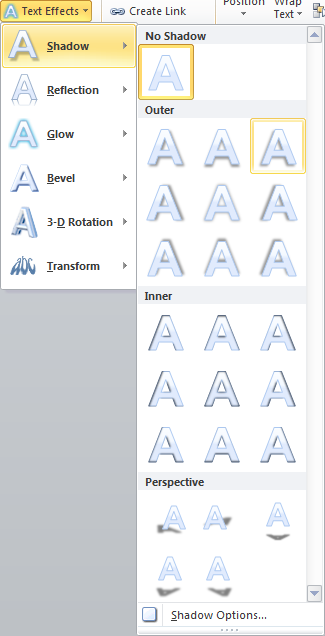 In the Insert Shapes Group, click on the Edit Shape Icon. Select Edit Points from the drop down menu. The Handles around the Rectangle will change to 4 Nodes. Move inward any Node that needs adjusting. Bear in mind that if you click off of the image, you will have to redo the step to get back to the Edit Points option. 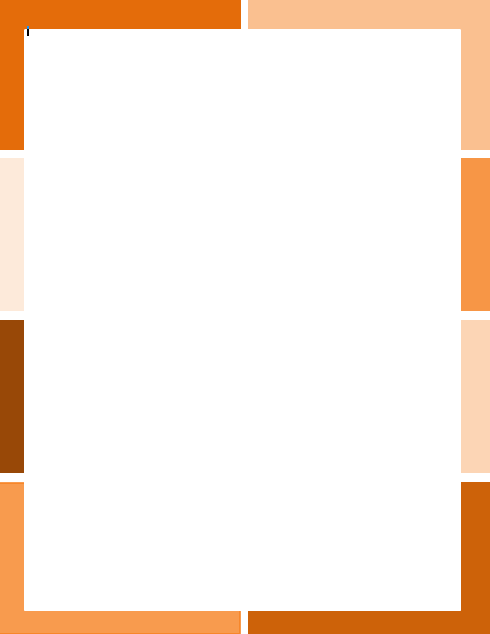 The Fill Color for this Rectangle is set to Orange, Accent 6, Lighter 40%. Next we will be able to add Text to the Flyer. Next we can add the Title Text to the flyer. For the Computer Classes Flyer Title and Subtitles, the Font used is Black Rose by Bright Ideas. The remaining Text on the Flyer uses the Desyrel Font by Apostrophic Labs. Both Fonts were downloaded from Fontsquirrel.com. Repeat Step 06 to draw a Text Box. 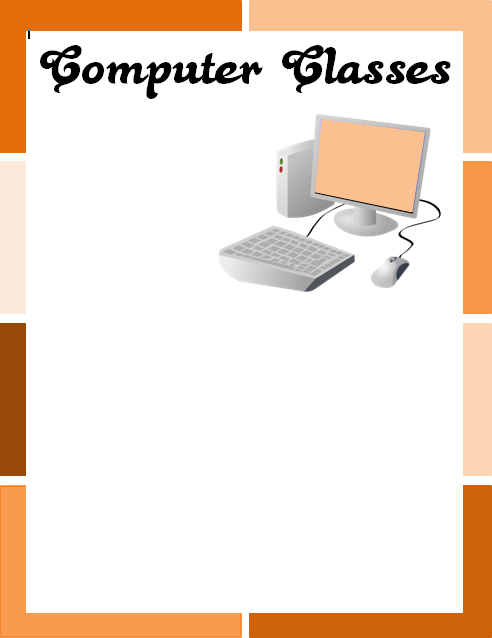 Type in the Flyer Title – Computer Classes. Select all the Text by holding down your mouse button and dragging over the Text or you can quickly triple click anywhere in the Text. The Font Group will appear floating above the Text. 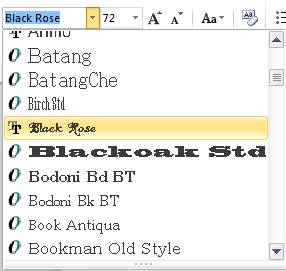 Click on the down arrow next to the Font Name and select the Black Rose Font from the Font List. The box on the right will be Font Size, which you should set to 72. You may have to make some adjustments to your Text Box if both words dont fit on the same line. The Text will appear truncated at the bottom. Simply lengthen the bottom of the Text Box until all Text is visible. The Text Box is now cutting off a part of the image. Let’s remedy this by changing the order of things. 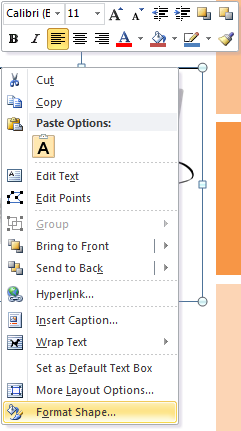 With the Text Box still selected, click on the Format Tab and in the Arrange Group select the Send Backward Icon. 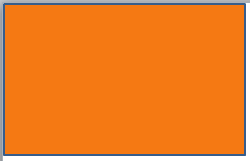 This puts the Text Box behind the Orange Rectangle that covers the monitor. Look carefully though, the Text Box is still not completely behind the Image. Select the Send Backward Icon again. There appears to be too much Whitespace between the Text and the Top Border. Move the Text Box up so that there will be less distance between the two. Now you can see that the white background of the Text Box overshadows the Border. 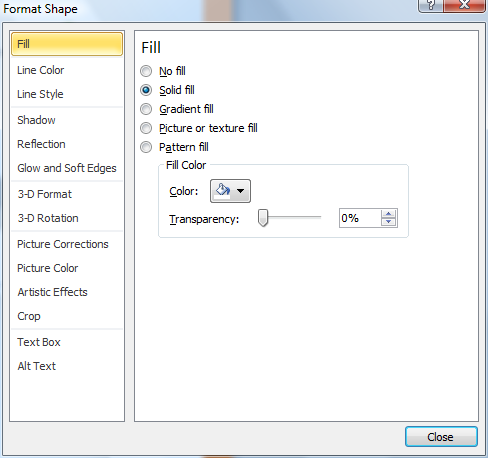 In the Shape Styles Group of the Format Tab, select the Shape Fill Icon. Next, remove the Outline by setting Shape Outline to No Outline. Notice the Text Box Border is no longer visible. The flyer will look like this. 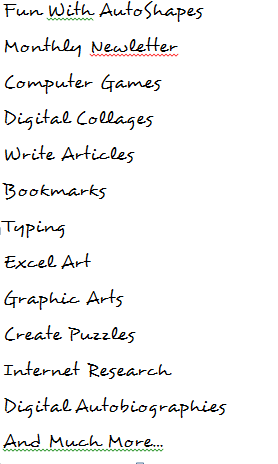 In the Format Tab of the Ribbon, go to the WordArt Styles Group. 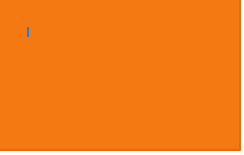 Select the down arrow on the right side of the Text Fill Icon and select Orange, Accent 6, Darker 25%. The Title Text will now have an Orange Fill. Now click on the Text Outline Icon and select White. You won’t be able to tell that the Text has a White Stroke because of the White Background. Let’s add a Drop Shadow to the Text to bring out the Stroke. Go back into the WordArt Styles Group and select the Text Effects Icon > Shadow. In the Outer section select the Offset Diagonal Bottom Left Icon (3rd Icon to the right). Repeat Step 11 to Insert Text. The remaining Text, except for Subtitles uses the Desyrel Font. 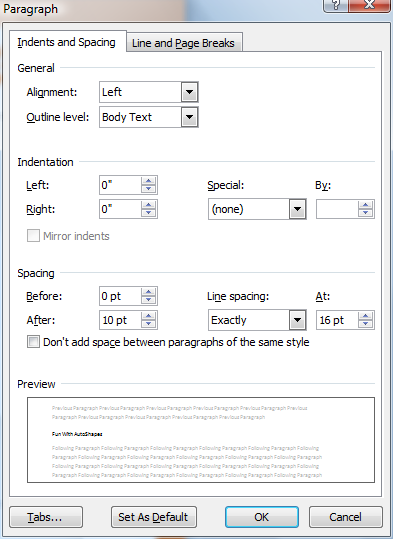 Set the Font Size for the main block of Text to 28pt. For the other 3 blocks of Text, set Font Size to 20pt with Subtitles at 26pt. You’ll notice that the space in between the lines is too wide. 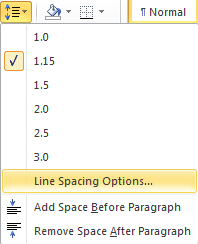 To decrease this spacing click on the Line and Paragraph Spacing Icon in the Paragraph Group of the Home Tab. On the drop down menu that appears select Line Spacing Options. This opens the Paragraph Window. In the Spacing section of the Indents and Spacing Tab, set Line Spacing to Exactly (which you choose from a drop down list). Remove the White Fill Backgrounds and Black Outlines from all the Text Boxes. Center Text by clicking on the Center Icon of the Paragraph Group. Before you know it, your Computer Classes Flyer is complete. All that’s left to do is Save the file. Go up to the Ribbon and select the File Tab. Select Save As from the left menu. This opens the Save As Window. 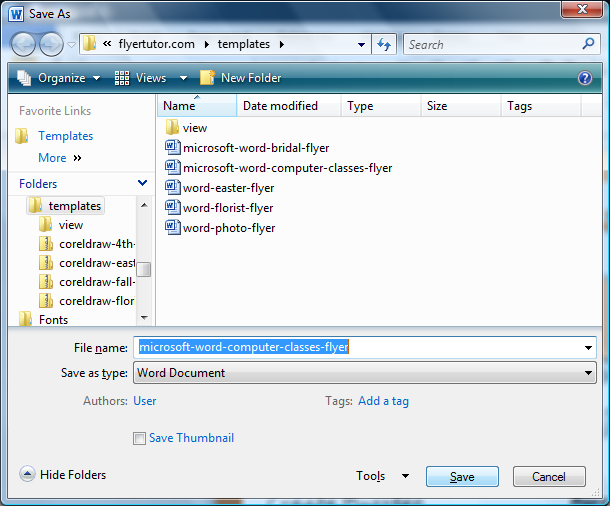 Select the location for your file, give it a File Name and click Save. If you are new to Microsoft Word, I hope this tutorial shed some lignt on some of the many functions of the Microsoft Word Interface.